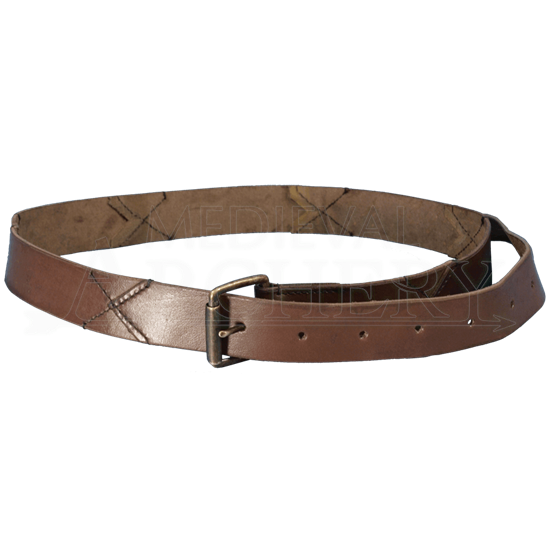 No matter the setting, whether fantasy or historical, or the title your character holds, there is no role that does not benefit from the addition of the Leather X Belt. Attach a pouch or dagger frog to this belt to up your style. Crafted from vegetable-tanned leather, the belt features stitched X-shaped accents. A brass belt buckle and a belt-tongue with 16 punch holes allow you to adjust the belt to your fit. Keep your everyday necessities close by attaching your sword frogs, tankard straps, and pouches to the Leather X Belt.